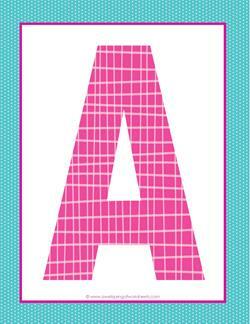 These medium alphabet letters coordinate with our big alphabet letters in plaid and polka dot. Brightly-colored and ready to cheer up your classroom! 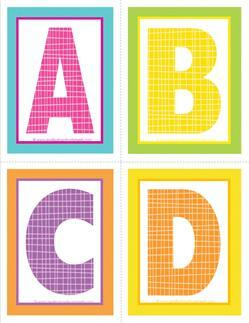 You can use the small set for bulletin board titles, kids can put them in alpha order, or play matching games. Whatever you can imagine or dream up! 13 pages. Three sets, each in a different size. These do not come in lowercase. 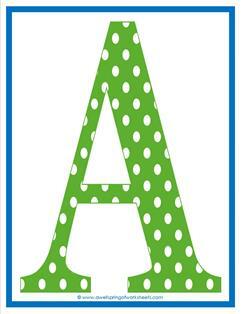 These polka dot letters in lowercase match perfectly with my polka dot uppercase letters. They have white polka dots on letters that come in the primary colors of blue, red, and yellow, with green thrown in, too. 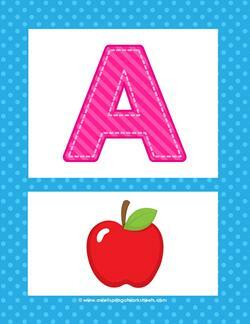 These letters would be great to use on classroom walls, posted as letter of the week, you name it. Have fun with them. 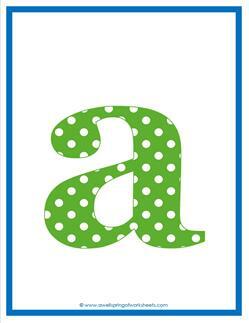 These enchanting alphabet posters will be a great asset to your classroom! 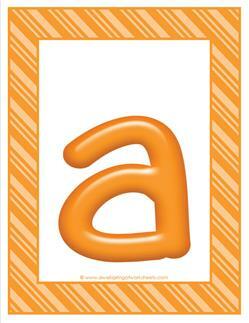 Post on the walls and point to each one as kids recite the alphabet. 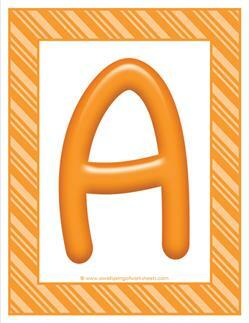 Use them on your bulletin board or easel for the letter of the week. 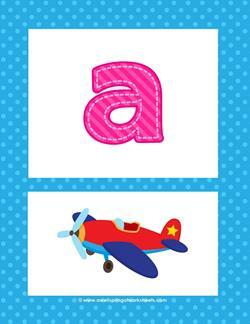 Have kids recite the sounds of each letter out loud together or by themselves.